Paris, France has such an iconic skyline, it’s hard to create a piece of art that is original and does the scene justice. I hope this Forgotten Postcard is a step in that direction. The view is Sacré-Cœur, and Montmartre as seen from the roof of the Pompidou Modern Art Gallery. 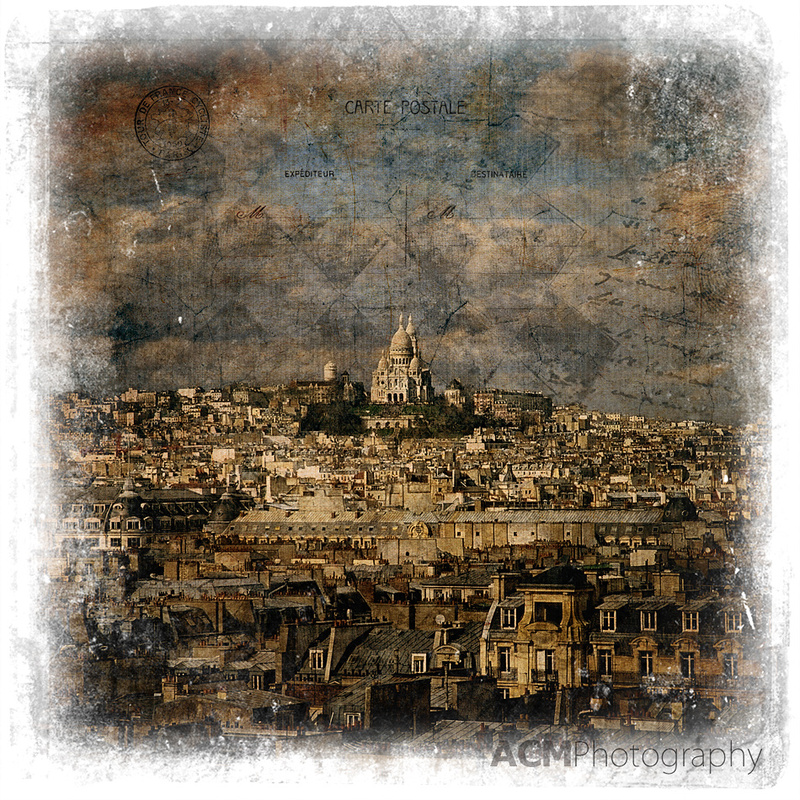 This entry was posted on Wednesday, May 5th, 2010 at 10:12 and is filed under Digital Art, Forgotten Postcards and tagged with art, digital, forgotten, France, montmartre, paris, photoshop, postcard, sacre-coeur, skyline. You can follow any responses to this entry through the RSS 2.0 feed. Beautiful view, I like also this original texture.